Today we are sharing another red lehenga with velvet choli here at our bridal and wedding blog which can make any bride to look like a princess on her wedding day. We love its light dupatta which will make the bride to sit and stand with ease during her wedding ceremony. Also the border of dupatta seems to be unique one with interesting design. Isn’t it? 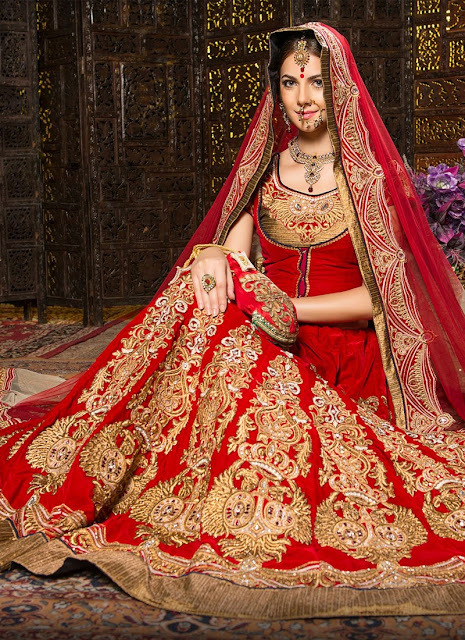 Do you like this red bridal lehenga? Would you wear it?